2nd Watch's AWS Config practice has been validated as part of the AWS Service Delivery Program. Alert Logic® Cloud Insight® Essentials is designed to take the complexity out of protecting your environment from vulnerabilities and configuration errors that put your sensitive data at risk. With auto-discovery capabilities and continuous monitoring built in, Cloud Insight provides deep insight, intelligent remediation, and continuous protection. Customers can use Cloud Insight Essentials to manage a single prioritized list of vulnerabilities including AWS service configuration errors, network architecture issues, operating system vulnerabilities, application vulnerabilities, and AWS Config Rules. Allgress Business Risk Intelligence solution provides security and risk professionals the information they need to effectively manage organization-wide security, compliance and risk. With Allgress, you can converge disparate enterprise risk silos and gain an intuitive and unified view of your organizations' information security and compliance risk posture within Amazon Web Services as well as on premise. CloudCheckr’s integration provides customers the added ability to quickly analyze, search, and understand changes recorded by AWS Config, The added intelligence and context enables users to avoid false positives and efficiently leverage real-time changes in their AWS infrastructure. CloudHealth integrates with AWS Config to support our customers’ change, compliance and security management needs. CloudHealth also supports integration of AWS Config Rules, which enable you to author Lambda functions that can perform custom compliance checks on your resources. Our integration allows you to use your Config Rules in policies, augment these rules with additional policy logic, and then choose to trigger actions based on non-compliance. Cloudreach's AWS Config practice has been validated as part of the AWS Service Delivery Program. We operate using an innovative competency based offering, covering Cloud Data Centre, Application Innovation, e-Commerce, Digital Estates, Data Analytics, Cloud Adoption and Cloud Service Line. Cloudreach has delivered a large number of projects to customers in North America and Europe, many of them heavily rely on AWS Config for delivering their services to end users. Cloudnexa integrates with AWS Config to get a snapshot of resources in the AWS account, and for audit of historical configuration changes. This capability makes it unnecessary for Cloudnexa to design, build and maintain software and infrastructure to get these features. Cognizant's AWS Config practice has been validated as part of the AWS Service Delivery Program. Provide multiple delivery models from cloud management consulting to full manage service via their Cloud360 platform. By using AWS Config as an additional data source, the Evident Security Platform is able to deliver faster, actionable security alerts to our customers before breaches occur. Also, by cross-checking new AWS Config data with our comprehensive AWS Security audits, ESP can further validate customers’ security postures. Flux7's AWS Config practice has been validated as part of the AWS Service Delivery Program. 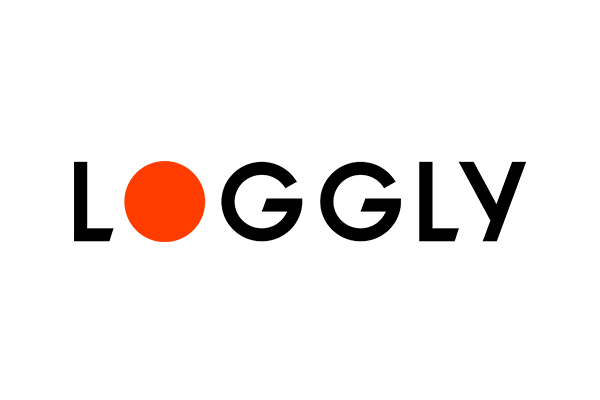 Loggly offers a cloud-based service that mines large amounts of log data in real time to provide you meaningful insights into configuration changes recorded by AWS Config. Send AWS Config data to Loggly using Amazon SNS to gain a high-level view of configuration changes or to analyze potential issues without typing even a single search query. Logstorage is an integrated log management system developed by Infoscience Corporation, Japan. It enables you to consolidate all your logs and manage them through a browser. You can get flexible search, statistics, alerts and various other capabilties. Red Hat is the world's leading provider of open source software solutions, using a community-powered approach to reliable and high-performing cloud, Linux, middleware, storage, and virtualization technologies. AWS Config allows Red Hat CloudForms customers to enforce policies and ensure compliance for workloads running in AWS. RedSeal enables Global 2000 organizations to evaluate and strengthen their network defenses. With AWS Config, RedSeal gives customers the visibility and control they need to move data securely into the Cloud. Saviynt Security Manager for AWS delivers security management and intelligence for AWS resources. Saviynt integrates with AWS Config as a key data source of configuration changes, enabling customers to enforce policy driven, security controls for AWS resources. Saviynt automates access management through multi-step workflows and also helps you identify vulnerabilities by providing analytics on AWS resources across your AWS accounts. With Saviynt, you can secure your infrastructure on AWS and address compliance mandates. Serverworks is a Premier AWS Consulting Partner in Japan that provides services to enterprise customers, universities and service providers. Serverworks offers Cloud Automator, an automation service, as a key diffrentiator. Cloud Automator offers policies and guidelines that help customerse keep AWS environments healthy and compliant. This solution leverages AWS Config Rules for defining policies and automating policy checks. ServiceNow provides comprehensive lifecycle management of Amazon resources. Incorporate Amazon offerings into your enterprise service catalog, integrate AWS Config with the ServiceNow CMDB, and manage usage and costs of Amazon resources at the application, service and cost center levels. The Splunk App for AWS is designed to consume data from AWS CloudTrail and Config and offers a pre-built knowledge base of critical dashboards and reports. With these reports and the ability to analyze activity in detail, the Splunk App for AWS enables customers to instantly gain critical visibility into user administrative actions in an AWS account. Stelligent's AWS Config practice has been validated as part of the AWS Service Delivery Program. Stelligent's expertise in creating fully scripted, tested, versioned and continuous delivery systems for customers so that they can deliver software to users at the click of a button and/or with every good change. The Sumo Logic cloud-native data analytics service delivers continuous operational and security visibility to enable organizations to move application workloads into Amazon Web Services (AWS) infrastructure with confidence and clarity. The Sumo Logic app for AWS Config delivers interactive visualizations to track configuration changes made to critical resources in AWS. Trend Micro Deep Security platform gives you a comprehensive set of security controls delivered from a single agent, which you can manage from a single console, API, or orchestration tool. Protect your EC2 instances with intrusion prevention (IPS), content filtering, anti-malware, and more. Deep Security’s integration with AWS Config Rules allows you to verify the status of your security controls to ensure that you’re continually compliant and always protected. Interested in becoming an AWS Config delivery partner? AWS Config participates in the AWS Service Delivery Program. The AWS Service Delivery Program recognizes APN Partners with a verified track record of delivering specific AWS services and workloads to AWS customers, including AWS Config. To apply to become a AWS Config partner, email us here.